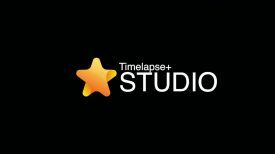 The Tentacle Sync-E is the new version of the popular wireless timecode generator that’s compatible with everything from DSLRs to cinema cameras. 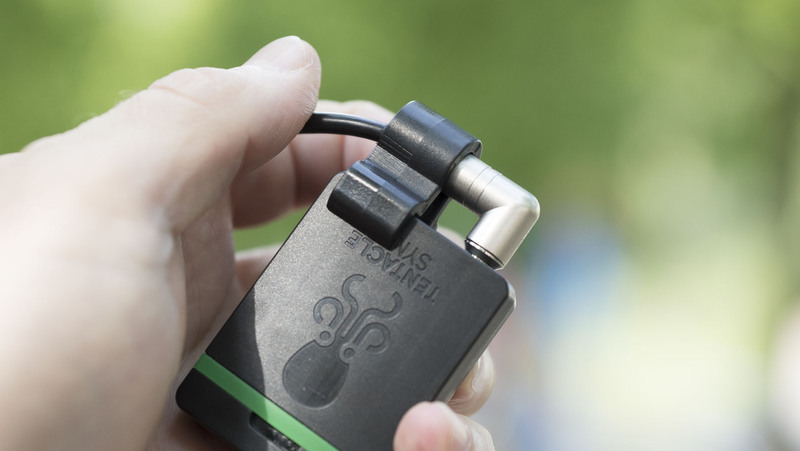 The Sync-E features a clamp for the 3.5mm jacks to keep everything locked in place. The Sync-E has a new, slimmer housing and features a locking “tentacle clamp” to secure jacks in the 3.5mm socket. The microphone in the unit has also been improved so you’ll be able to add both timecode and reference audio to footage shot on a DSLR. The Tentacle Sync-E companion app allows you to set up the system and keep an eye on it once it’s up and running. 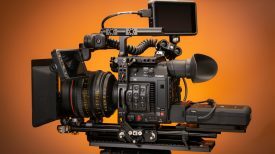 The biggest addition though is Bluetooth, meaning you’ll be able to set up, control and monitor the wireless timecode system via your phone. 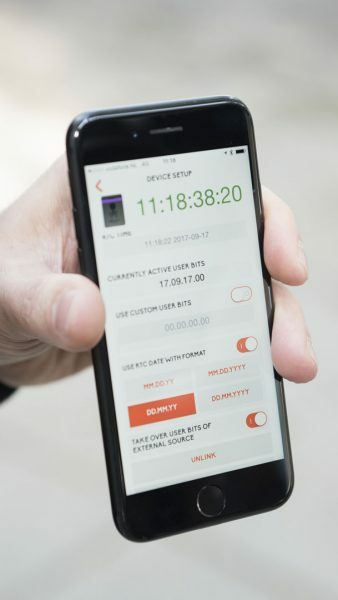 Tentacle Sync have apps for both Android and iOS, and timecode accuracy over the Bluetooth connection is good enough that you can check in realtime to see if something’s wrong – it will warn you, for example, if a cable gets disconnected. Although the Sync-E shown here is still a prototype, the company hope to be shipping in October. 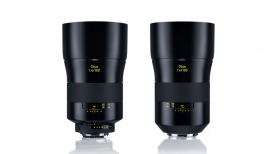 They will be priced at €249 for a single unit and €449 for a set of two.